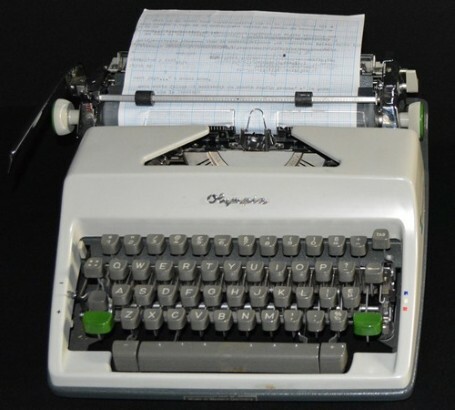 The Cembalo Scrivano .1 (CS1) is an augmented typewriter. 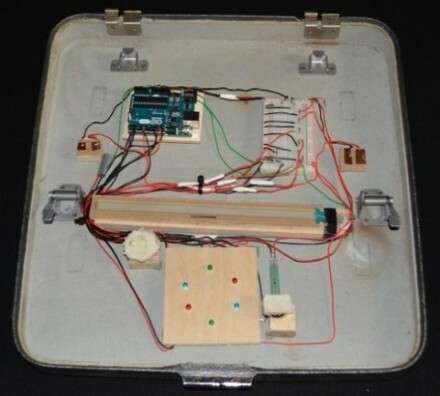 By detecting the typing activity it generates and manipulates audio and visual materials in real-time. This project is inspired by the writing machine invented by Giuseppe Ravizza in 1855 (one of the first writing machine in the history). Ravizza called his invention Cembalo Scrivano (Scribe Harpsichord) due to the usage of piano-keys. 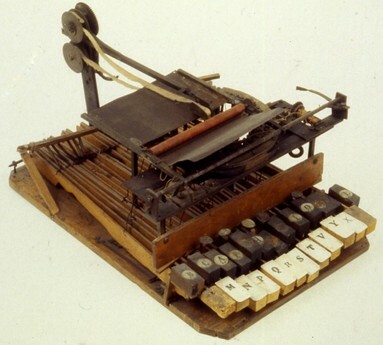 In order to implement his machine Ravizza borrowed the interaction paradigm of the Harpsichord (from music to typewriting). The CS1 raises from the same design approach but it establishes the inverse analogy. Starting from the interaction paradigm of the typewriter I implement an instrument for sonic art (from typewriting to music). The CS1 combines the physical and digital dimensions by conceiving them as linked within a continuum. The CS1 is conceived to synthesise visual and sonic elements analogous to those occurring while interacting with a typewriter. However, the sounds and images generated do not exactly behave as the associated phenomena in the physical world. By interacting with the CS1 the user experiences an ambiguous condition in which symbols becomes shapes and sounds transcend the forces acting within the writing mechanism. The attempt is to augment (i.e. add something new, expand or deviate) the physical interaction with the object. The CS1 is composed by an Olympia SM9, an Arduino based interface and interactive audio-visual elements (Max-MSP and Processing).